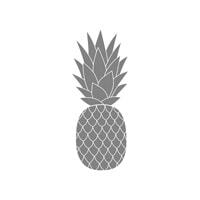 We are flashing back about a year when the current catalog came out and I fell in love with this BIG PINEAPPLE STAMP. FYI–it is retiring the end of May, so if you like, make sure to get it soon! CLICK HERE to view my original post–it’s filled with tips and all the details on this card! My favorite tip is to cut the stamp into 2 stamps. Makes it much easier to stamp with multiple colors! I hope you enjoyed this FLASHBACK….and remember, this stamp is retiring. So, if you like it–get it soon! Here are a few more cards I have made over the past year using the PINEAPPLE STAMP. Remember, it’s retiring…..so grab it while you can! CLICK ON THE PICTURE BELOW to go to my online store and place an order. I would love to be your demonstrator and appreciate any orders placed through me. And…I always give you a gift when you order through me! Have a great weekend and stamp something awesome AND PUT IT IN THE MAIL–making cards does no good if we don’t send them!!! !